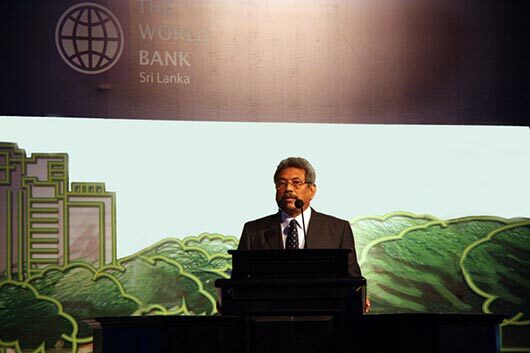 “The Metro Colombo Urban Development Project and its successful implementation, together with other initiatives of the Government to develop Colombo, will help transform this city into a truly world class one”, said Secretary to the Ministry of Defence and Urban Development Mr. Gotabaya Rajapaksa today morning (May 28). He expressed these views delivering the key note address at the inauguration ceremony of the Metro Colombo Urban Development Project (MCUDP) at Waters Edge, Battaramulla. MCUDP, is a USD 223 million World Bank funded, three year urban regeneration program aimed at reducing the physical and socioeconomic impacts of flooding in the Metro Colombo region and improving priority local infrastructure and services. The project will be managed by the Project Management Unit of the Ministry headed by Eng. Rohan Senevirathne under the visionary guidance and direct supervision of Secretary Defence Mr. Gotabaya Rajapaksa. The implementation responsibilities rest with three agencies: Sri Lanka Land Reclamation & Development Corporation (SLLRDC), Urban Development Authority (UDA) and the Colombo Municipal Council (CMC). (1) Flood and drainage management. (2) Urban development, infrastructure rehabilitation and capacity building for metro Colombo local authorities. Commander (SLN) Eng. Chaminda Ariyadasa delivered the welcome address. Ms. Diarietou Gaye- Country Director of the World Bank in Sri Lanka, delivering her address said that the ‘Mahinda Chintanaya’ emphasizes the development of Metro Colombo as a priority and fifty percent of Sri Lanka has already been urbanized. She further asserted that the World Bank treats MCUDP as a critical and high priority project. Ms. Rosanna Nitti- Task Team Leader of the World Bank in Sri Lanka addressing the distinguished gathering praised the dynamic leadership of Secretary Defence and Urban Development. A comprehensive project overview was presented by Eng. Rohan Senevirathne-the Project Director MCUDP and Additional Secretary (Technical). 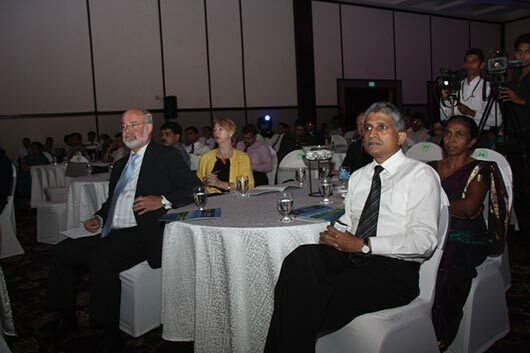 Ambassadors, Diplomats, Mayors of the Metro Colombo Region, World Bank country representatives and high ranking government and military officials were present at the occasion. Full text of Secretary Defence’s speech delivered at the inauguration ceremony of the MCUDP on 28th May, 2012.